The Macon EVO thermostatic operator will help you balance your heating system. 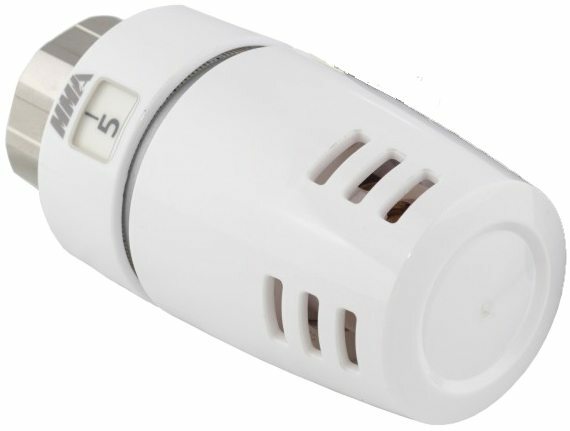 The EVO operator has one of the most accurate sensors available for radiator temperature control. The problems of overheating, under-heating and wide temperature swings can now be minimized. The EVO thermostatic operator by Macon Controls conserves energy by regulating temperature. Fuel costs can be reduced up to 30%! 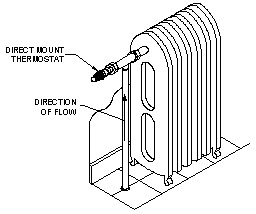 thermostatic operator. It has adjustable max./min. temperature, selected temperature locking feature and can be shutoff completely if required. The symbol * protects against frost damage. Each EVO thermostatic operator is individually calibrated and conforms to ASHRAE standardization rules for temperature regulation. The EVO’s smooth shape and narrow air gaps gives a nice operation and makes it easy to keep clean. 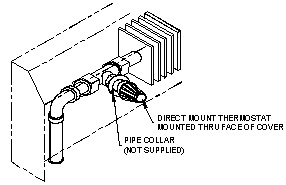 They can be mounted on all Macon NT series valves. Millions are in use throughout the world. Each unit is factory preset per the dial settings listed. If field adjustments are necessary see below. 1. Turn the wheel to maximum. 2. Push the mark in with limit tool (located opposite the dial setting window) and press in the wheel handle 1-2 mm until it stops. 3. Remove the limit tool and press in the wheel handle until it stops. 4. Set the required temperature according to the chart above. 5. Pull the wheel handle out and the maximum temperature is set. 5. Pull the wheel handle out and the minimum temperature is set.